with the scourge and the reed. you deliver us from all sins and penalties. Source: Sarum Missal, Innocent III, freely modified from Ancient Collects, ed. William Bright, p. 45#3. For over 150 years, Bright’s Ancient Collects has been a standard resource for classic Christian prayers. 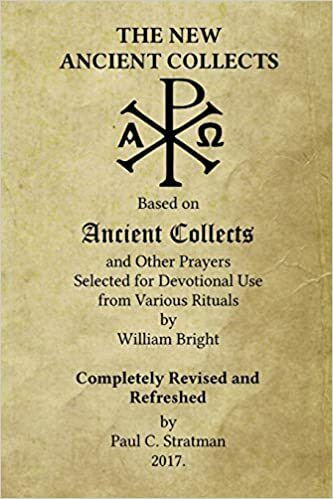 The New Ancient Collects is a complete revision and refreshing of all the prayers in Bright’s Ancient Collects with updated language. It is available in paperback and for Amazon Kindle from Amazon.com.